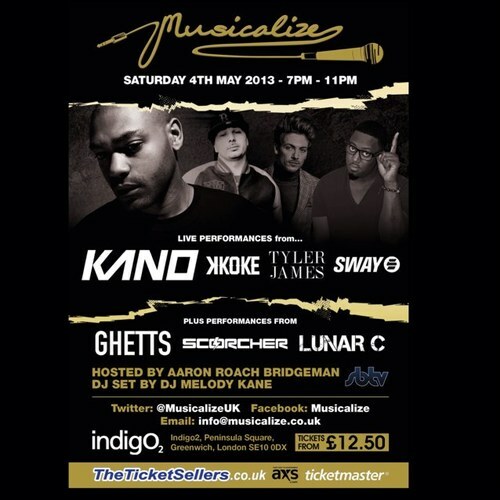 With the likes of Professor Green, Chip, Misha B, Dappy, Tinchy Stryder, Ms Dynamite and Angel having already headlined the Musicalize stage so far in 2013, we are pleased to announce the line up for our next event. …with more special guests to appear on the night! As is always the case with Musicalize events networking and socialising will be a big part of the event. Attendees can expect to meet, mingle and enjoy drinks with a host of other musicians that have supported Musicalize so far.